Morocco :: Drâa-Tafilalet :: Zagora :: Trek in morocco : Palms and Dunes 3 days walking. 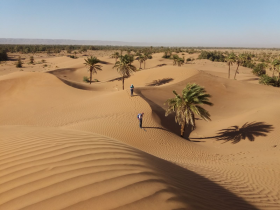 Trek in morocco : Palms and Dunes 3 days walking. Trek 3 days walking, night in camp. Price per person base 2 people. 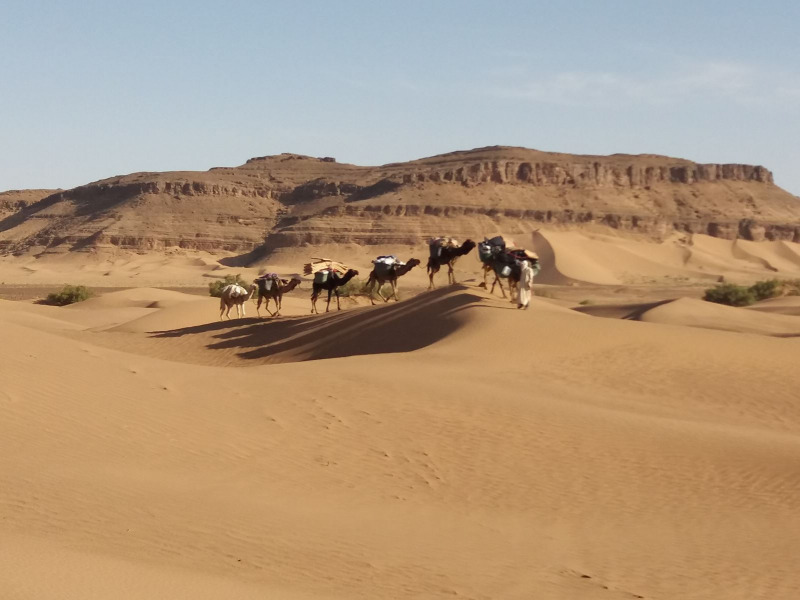 Day 01 : Depart from Marrakesh or Ouarzazate and drive straight out to Zagora where you’ll meet your Sahara trek crew. 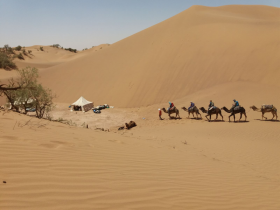 You’ll trek up to draa valley , overnight in camp at Nsrat Dunes. 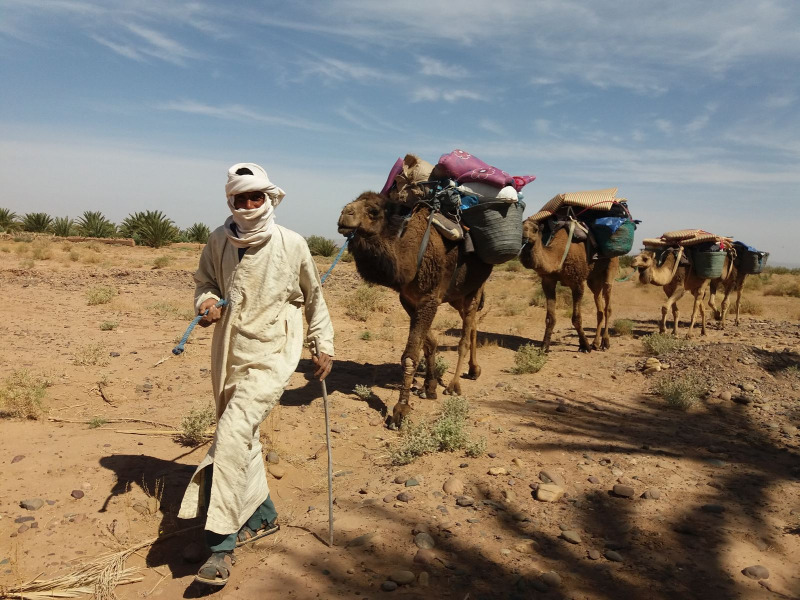 Days 02 : start our trek from Nserat Dunes, you will pass by sidi salh village, lunsh in the and of sidi salh palms, and night near Tiraf dunes. 5hrs, night in camp. Day 3 : The following day, Tiraf to sidi Draa valley, 5 hrs to get to the camp, Dinner and night at the camp. Day 04 : Draa valley - Oulad Driss- 3 to 4 hrs, night at the camp. 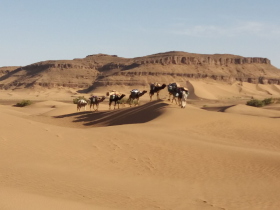 Day 05 : Depart and transfer to Ouarzazate or Marrakech by minibus ( 4hrs to get to Ouarzazate, 8 hrs to Marrakech), night at Hotel.